Media Mall Factory comes with 4 payment gateways already implemented. By going to Settings and clicking on the Payment Gateways you can enable/disable or edit them. You can add logos, title and to enable it or disable the gateway. Below you have to add the required parameters. You can add logos, title and to enable it or disable it along with the required parameters like email and action. You can add logos, title and to enable it or disable it. Below you have to add the required parameters like email or the option to use the sandbox mode for testing. 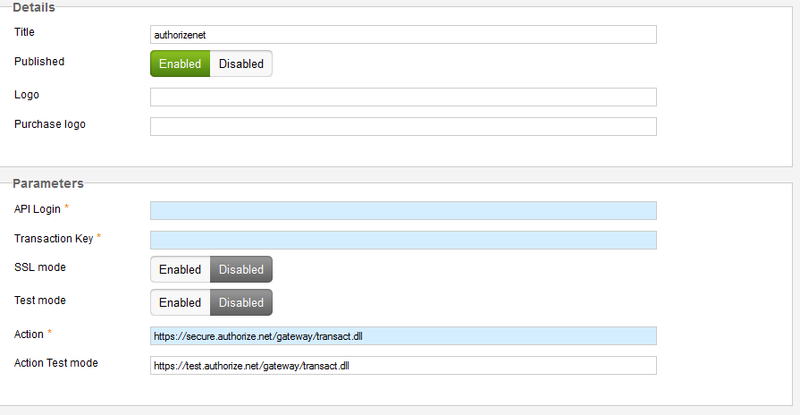 You can add the logo, title and to enable it or disable it along with multiple parameters available for this gateway. From the Bonus Credits area you can set various values of credit purchases which will grant users an extra bonus of credits. The bonuses will apply when users make purchases for the defined values and for the ones who exceed them. Clicking on New will allow you to add more bonus thresholds. Enter on the Credits field the minimum number of credits purchased to apply the bonus. Below this, add the number of Bonus credits that will be received and choose to enable or disable it. In the Notifications section you will find the email notifications that will be sent to users for different actions such as selling a media file or an invoice being issued. Click on any notification to edit or check the tickbox and click on Edit. Here you will find fields for the Type of notification, the assigned Language along with a simple text editor where you can modify the message and the subject of the email received by the user. Last option allows you to change the Status of the notification between Enabled to Disabled.